Three big organisator put together their work and made possible a night that defo wil not end so fast and for sure the sunshine will hit everyone’s face at the end of it. Three stages dedicated to 3 main genres of music, Overgate Stage as Frenchcore/Hardtekno, Art Of Trance Stage as Trance/Progressive/History and Rockter Stage as GOA. You can choose how you want I think 🙂 All you have to do is to go on 13rd February at Imola not only to race (Imola’s famous for its race history) but to RAVE with Style! Trance-Energy Radio is the exclusive Art of Trance broadcaster and we’ll not miss this event for sure. We’ll broadcast LIVE the Art of Trance Stage and the guests are TOP, meaning that not only who’ll be at Imola will enjoy but through our radio even everyone around the world. Let’s see 1st how you’ll get there, right? First you must arrive at Imola, or at Bologna and from there at Imola. Once you’re at Imola you take the A14 highway toward Conselice, after around 4km, on your left, you’ll find the place (before the AGIP gas station), behind La Volta restaurant. That’s it! Google Maps Rulz! Let me give you the reason why you must do this trip now! Steve Helstrip don’t need any introduction at all. 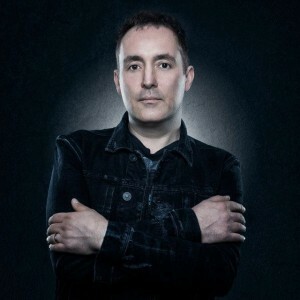 He’s The Thrilseekers, 15years in making one of the finest trance around and still going with style. The show at EMOTIONS is part of his long tour of 15Years of Trance and I think this is another good reason why you must come. Now I think I got your attention more! Nathia Kate lads! 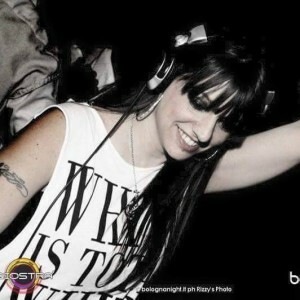 One super brazilian female Dj that can defo blow your mind! She’s beautiful (stop thinkin’ high guys), she’s very talented and her sound is well known, full with dynamism and euphorical in same time like on one cheek she’ll kiss you and on the other one she’ll slap you so hard that your brain will start to bounce on her sets. She merges the power of international icons such as Paul Van Dyk, Armin Van Buuren, Sean Tyas, Simon Patterson with Latin-America warmth and passion. Nathia Kate have aiming to make her very own contribution from Brazil to the Global Trance Scene and on 13rd February she’ll be in Italy, at Imola! From Malta with Love! 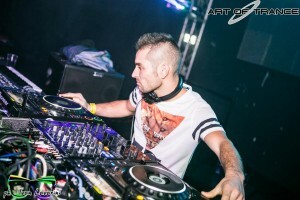 That’s what Jonathan Lia does with his trance project ELOQUENTIA starting May 2012. 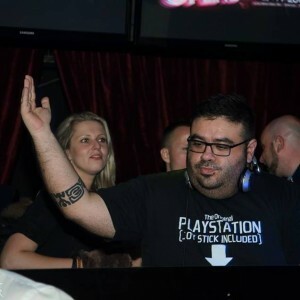 Jonathan is well known around and his sets are mindblowing, with a specific signature, with a touch that can send you directly into the dreamland of trance. He performed with heavy names in the industry like Aly & Fila, Dash Berlin, Sied Van Riel, Myon & Shane 54, Ben Nicky, Aerofoil, 4 Strings ecc ecc and tonight he’ll make the team with The Thrillseekers and Nathia Kate. a trio of headliners that will make this night memorable. P.S. You can find Eloquentia every 4th Saturday of the month on Trance-Energy Radio! Alongside this incredible trio you’ll find 5 Djs that defintely worth to keep an eye on them now and in the future. First is Alessandra Roncone, italian princess of trance, a rising star that supported many big names with an impeccable execution of her sets, bringing the crowd to her with a big smile, with emotions, making them to bounce or to fly like butterflyes on her tracks. Besides Dj she’s even a great producer with already many tracks released (just check her soundcloud ). As I saw, her fans are very loyal and follow her everywhere she goes meaning they saw something special in this girl. I hope you’ll see too on 13rd Febryary at Imola! P.S. You can find Alessandra every 3rd Sunday of the month on Trance-Energy Radio! Mark L is one of the most outstanding new comers of the Italian scene, influenced by his icons John 00 Fleming and John Askew, Mark‘s sound is a pure, deep & dark trance emerging from powerful basslines and superb melodies. His unmistakable and evolving sound has lead him to play alongside acclaimed artists like Aly&Fila, Airwave, Arctic Moon, Indecent Noise, Will Atkinson, Manuel Le Saux just to name few and is guaranteed that you’ll be hearing his name a lot more in the future. P.S. You can find Mark L every 2nd Friday of the month on Trance-Energy Radio! Michel LaVie, Jimmo and Masterfire you’ll hear as soon as you get there. This 3 artists combined, with their different tastes, can make one of the best cocktails to introduce the crowd in the right spirit of the night. So as I see, you’ll be in the right hands for the perfect night! What you waiting now? Grab your tickets and see you all there! Feel the Trance Energy…with Art!